Performing Arts contributes to the school curriculum by developing students’ abilities to work as part of a group, present in any given circumstance, refine performance skills, analyse and evaluate work and develop independent thinking. Performing Arts is important for students to become well rounded individuals and builds empathy and confidence. It is also important in everyday life and in many forms of employment. Drama: As a subject in its own right, Drama builds confidence, creativity and empathy. It places students in situations where they have to problem solve and think about information from different points of view. Students learn about theatre history, theatre development and theatre in context. Drama is more than being famous it is about an expressive art form that empowers individuals to be creative. Music: As a subject in its own right, Music builds confidence, persistence and expression. Students start off having the opportunity to try out numerous instruments during Year 7 and Year 8, which often leads to students taking up private instrumental lessons with one of our peripatetic teachers. This then leads onto further knowledge and experience in music performance, analysis, production and composition. Music is about mastering a chosen instrument and developing the ability and confidence to be able to perform and compose for a variety of situations. It is also about learning how to use musical terminology to analyse and describe music from all genres. We want all of our students to be confident, skilled and caring individuals that can present themselves clearly and concisely in any given circumstance. Within the Performing Arts department we aim to set challenging targets with high expectations for all. 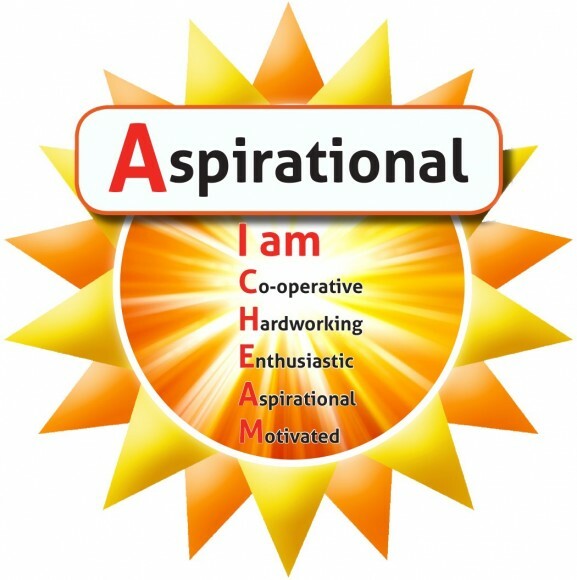 We believe in individual progression and personalised learning aimed at the individual. We always look at new ways of supporting and challenging students to ensure the highest standards are not only met but exceeded where possible. · Develop new skills as well as building upon existing ones. At Key Stage 3 each student has one lesson a week of drama and music and are on rotation for dance. Students are given the foundation knowledge and skills to develop their performing and evaluating skills. A wide range of topics are studied to ensure all students can access the curriculum and feel a sense of achievement. The book linked here is recommended for those students doing GCSE Music as a useful study guide. Throughout the year Performing Arts offers a range of extra-curricular activities to ensure students can stretch and challenge themselves beyond the classroom as well support those who wish to have extra assistance in order to meet their target grade. 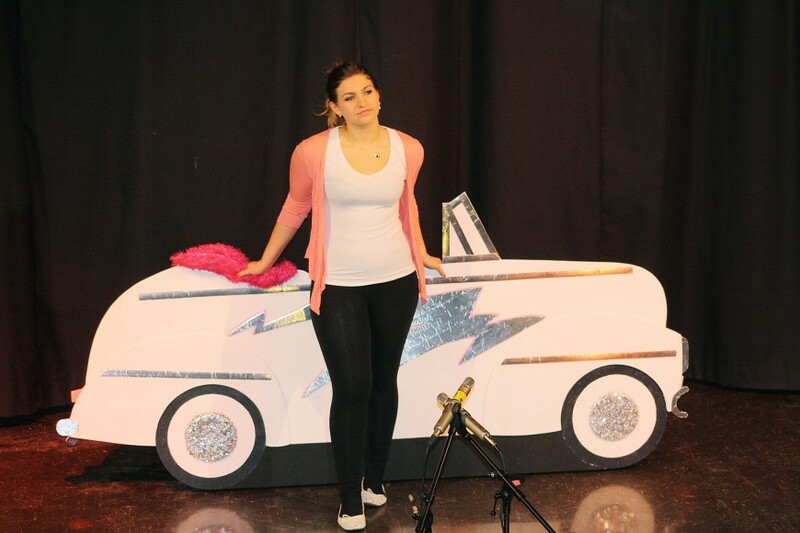 Every year we produce a full school musical involving all year groups throughout the school. This is a great way to celebrate the arts and show collaboration across the school. Students have the opportunity to take part both on and off the stage from performing to sound and lighting. This year our school production will be We Will Rock You school edition. Drama: Year 7 and Year 8 Drama club, Year 9, Year 10 and Year 11 Drama club and Drama Coursework Clinic. 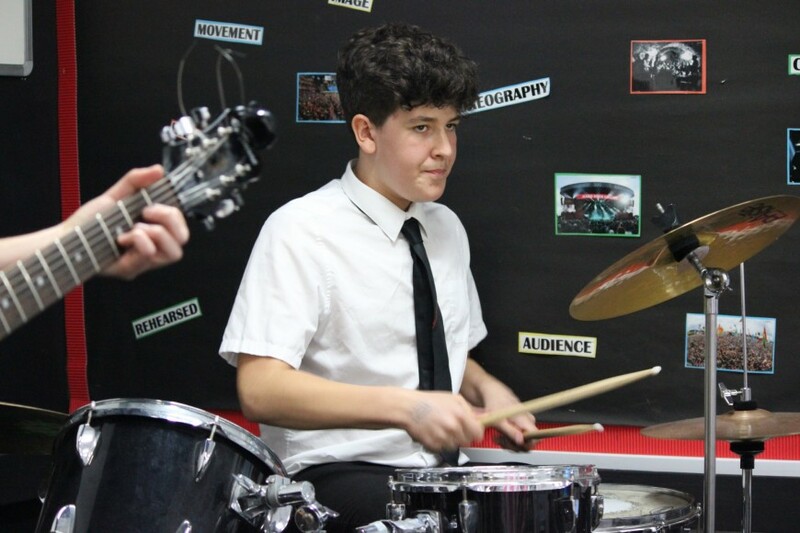 Music: Annual Battle of the Bands, Vocal Group, Band Night, The Phoenix Ensemble, Guitar club and Drumming Club. Private instrumental peripatetic lessons are available for a large variety of instrumental and vocal techniques. Every year we acknowledge students hard work by awarding Arts Badges and Arts Leader Badges. It is wonderful to see students wearing their badges with pride. Please find the instrumental lesson application form here.